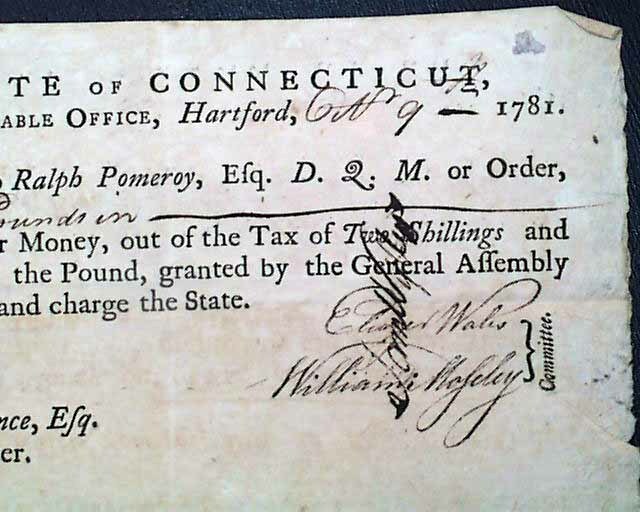 Item # 649287 FASCINATING DOCUMENT for providing pay to soldiers through the Deputy Quarter Master of the Military for the "State Of Connecticut". 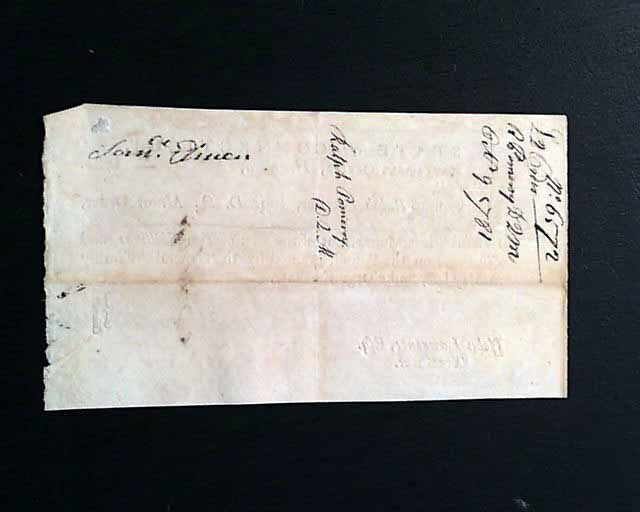 This document contains a signature, is dated 1781 and is approx. 4 by 6 inches. 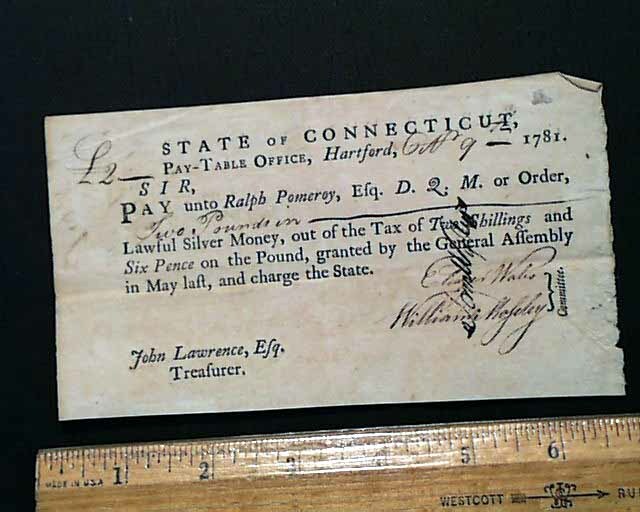 The photo is representative of the look and condition of pay document you will receive. 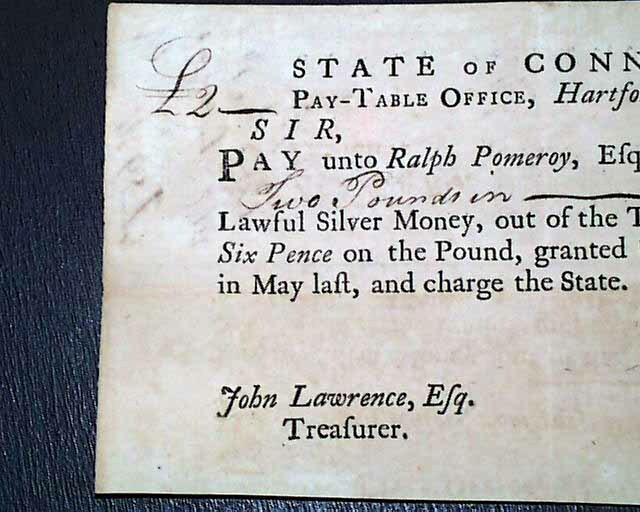 Actual dates vary, but will be within 1781. If you need to know the exact date be in touch.